17pts. It was however a total team effort as fellow seventh grader Chris K. had 12pts and eighth grader Matthew R. had 8pts., both season highs in scoring. Fellow eighth grader Peter H. had 5 and seventh graders Daniel D.
Garden School in the BFS lower gym, another league game. Blue Pride!! limited duty and set up many more scoring opportunities for his teammates. Chris K. once again was in double figures with 18 points (career high), Daniel D. had his best game finishing with 9 points. Contributions came from up and down the line-up as Luca J. (7th) and John W. (7th) each scored 6, Zain O. had his best game with 4, Cailean M. added 3, Peter H. and Deion M. each chipped in with 2 points. Next action for the boys team takes place on Monday as they take on Steiner at BFS. The BFS MS Girls Basketball team also defeated Garden. This game took place on the road. What an amazing start to 2014 from the MS Girl Panthers getting an exciting win and with a whole team effort by beating Garden 23-21. With only 5 girls available for the game each lady panther dug down deep and pulled out the thrilling and exciting victory. After a close first quarter Brooklyn Friends trailed 8-6 but never trailed again after that and taking a 23-11 lead into the fourth quarter. Heading into the fourth quarter being almost completely exhausted, the lady panthers pushed even harder to hold off their opponent who fought hard to come back. The leading scorers for BFS were seventh graders Devon O. and Ana P., but what an awesome game by everyone, Isabelle J. Maddie W. and Milla S. The team is undefeated (1-0) in 2014 and ISAL League play. Keep up the great work! 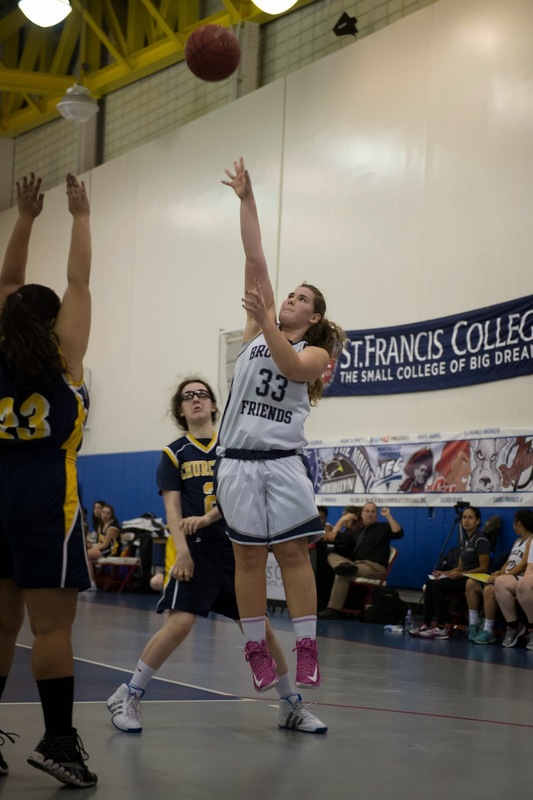 On Friday the BFS Girls Varsity Basketball team defeated MMFS 31-25 at St. Francis College. It was a close game throughout. Both teams were feeling each other out on the big court during the first half. BFS found themselves down 10-7 after one quarter of play and down 13-11 at the half. The team made some adjustments during halftime. On offense the team was looking to capitalize on some backdoor plays while on defense they turned things up to put some much needed pressure on their opponents point guard. The adjustments worked as BFS outscored their opponent 10-2 in the third quarter as they took advantage of backdoor opportunities on offense and began to double team the MMFS point guard. So after three periods of action BFS led 21-15. Both teams scored ten points in the final period and BFS held on for the victory. The team was led by junior forward Julia B. who poured in 22 points and grabbed 10 rebound for the double double. 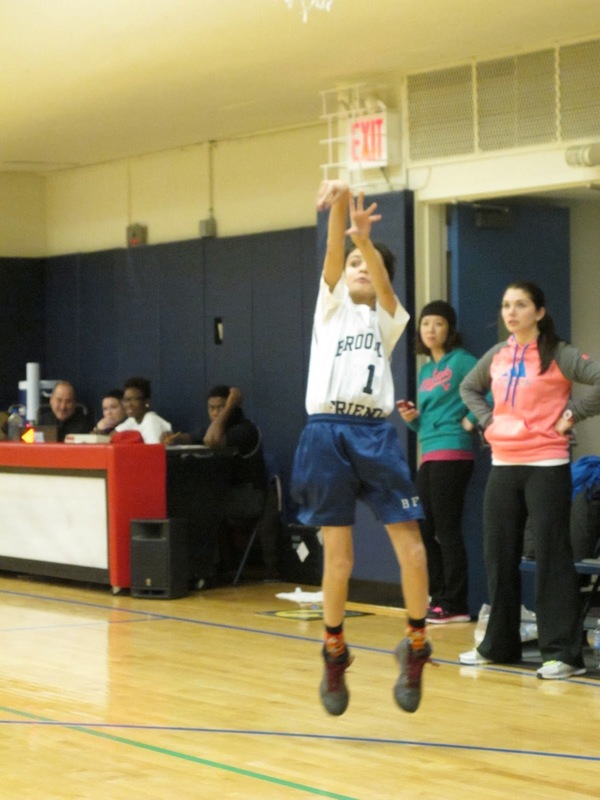 Senior point guard Julia G. had 4 points and 4 assists. Junior Maret S-M returned to action to give BFS a much needed spark on both ends of the court. She finished with 4 points and a couple steals. The team will look to build on this win as they have some big league games coming up in the near future. Blue Pride! !